NOTE: If you are a beginning blues harp player looking for videos, tabs, and other instructional materials that will help you BECOME a great player, please click THIS LINK. In general, I'm not a fan of Top-10 lists. But the lists below can, I believe, serve several useful functions. 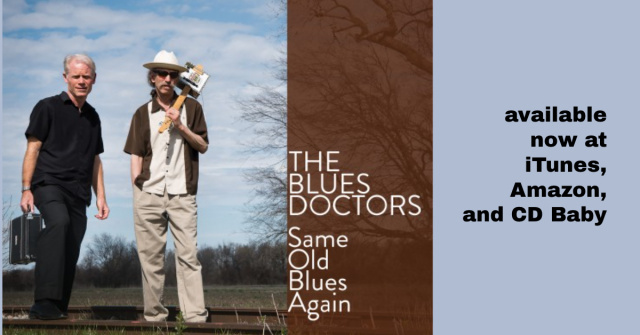 For beginning players who might otherwise waste time trying to figure out what good blues harmonica actually is, my lists can help point the way towards the heart of the tradition. For better players, my lists can serve as an incitement to constructive dialogue about what makes a blues harp player great, influential, or essential, rather than merely excellent or professionally competent. My lists have some quirks. You will notice that neither the Top-10 nor Second-10 list contains a non-American player, or a woman. My British friends will argue that John Mayall deserves a place in one of these lists, and they may be right. My Canadian friends will argue the same thing regarding Carlos del Junco, and they're almost certainly right. So who would you kick off of which list to make room for Mayall or Del Junco? Mayall is clearly one of the Top-10 all-time blues bandleaders, but bandleading and harp playing aren't the same thing. As for Carlos--well, as Jack Benny once said when a holdup man said "You money or your life!," "I'm thinking, I'm thinking. We can argue this one. Norman Davis has created the DEFINITIVE website on female harmonica players. It's entitled, not surprisingly, "Hermonicas"
I think it's possible that the late Igor Flach, from the former East Germany, is a Top-20 all-time player. He easily meets the originality, technical mastery, soulfulness, and recorded evidence tests. Please note: I have deliberately left myself and my fellow harp-website gurus--David Barrett, Dave Gage, Jon Gindick, Glen Weiser, et. al.--off the Honorable Mention list. Of course we are all fine players and I encourage you to patronize our websites, come to our gigs, purchase our CDs and tabs, join our mailing lists, etc. Needless to say, the great Howard Levy and Stevie Wonder belong on any Top-10 all-time list of harmonica greats, but I believe it misrepresents and considerably diminishes their talents to frame them as blues harmonica players alone. To consign them to an "honorable mention" slot would be even worse. So I've left them out of this discussion. Levy's Harmonica Jazz and Stevie's "Fingertips" and "Boogie On, Reggae Woman" will always be dear to my heart. Please listen to and learn from them. Before you go: Here's a 2008 video of Jason Ricci sitting in on a slow blues with the Walter Trout band. This is what originality, technical mastery, and soulfulness look like on the rock-flavored leading edge in our post-9/11 era. If you're an ambitious young cat looking to make your mark on the blues harmonica world, be forewarned: JR's fireworks will put your ego in check.